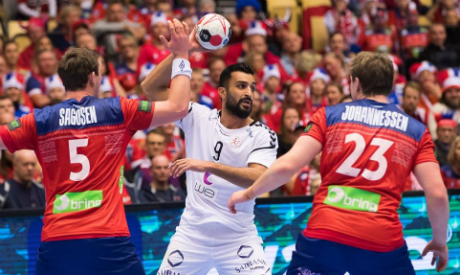 Egypt proved a match for the mighty Norway for most of the game but ended up losing 32-28 as their hopes to qualify for the World Championship semi-final for the first time since 2001 were crushed on Sunday. In their first Group B match of the main round, Egypt put on a brave fight, closing the gap to just one goal in the dying stages before Norway prevailed when it mattered most to emerge winners. Egypt trailed 16-14 at halftime, with Norway's fast-breaks and powerful shots giving them the upper hand in a tight affair. The result leaves Egypt fifth with one point gained from a draw with Hungary in the previous round. Their hopes now lie in finishing among the top seven teams of the World Championship to compete for a place at the 2020 Olympic Games. The Pharaohs next face Denmark on Monday.